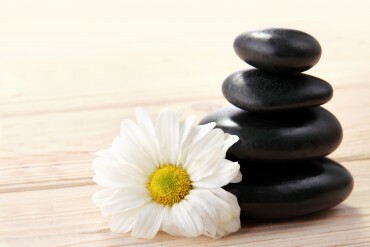 Massage therapy has numerous positive physiological effects. These effects allow, among others, muscular and nervous relaxation; they facilitate blood and lymphatic circulation, encourage the elimination of toxins and stimulate vital organ functions. The massage acts as muscular and ligamentous tonic. It is also credited with a strong bodymind dimension by dislodging emotional memories that have been stocked in body tissues and organs. Therefore, it is not uncommon to notice emotional changes during a massage session. Vital energy, chakras, vital points and several other principles will be discussed, according to traditions and schools of thought. Massage therapy is generally practised with hands, but also with feet, elbows and even knees and the manoeuvres can be applied over the whole body or only a single part. It is possible to concentrate on skin and muscles and then to go deeper towards tendons, ligaments and fasciae or still, to aim for specific points or energy centers. The European tradition of masso-kinesitherapy based on Western anatomical and physiological principals and soft tissue manipulations, of which Swedish massage constitutes the classic example. The North-American tradition, also based on Western anatomical and physiological principals, but that also integrates a bodymind dimension to these traditional concepts. Examples of these include Californian massage, Esalen massage, Neo-Reichian and neuromuscular massage. The postural techniques remodel the body structure with posture and movement re-educating, such as postural integration, Rolfing, Trager and Hellerwork. While sharing some similarities with these techniques, the approaches of somatic education, such as Feldenkrais and Alexander technique, are not considered forms of massage therapy. The Oriental techniques, based on principals of Traditional Chinese Medicine and Indian Traditionnal Medecine, such as Tui na massage, Ayurvedic massage, acupressure, shiatsu, reflexology and Jin Shin Do. The energetic therapies, inspired by ancient healing practices using hand pressure, such as therapeutic touch, Reiki and polarity can also be fund.